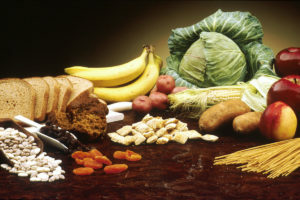 People who eat higher levels of dietary fiber and whole grains have lower rates of non-communicable diseases compared with people who eat lesser amounts, while links for low glycaemic load and low glycaemic index diets are less clear. 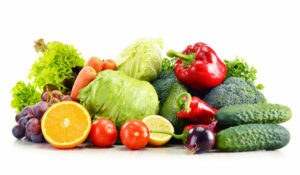 Observational studies and clinical trials conducted over nearly 40 years reveal the health benefits of eating at least 25g to 29g or more of dietary fiber a day, according to a series of systematic reviews and meta-analyses published in The Lancet. ...continue reading "Eating Lots of Fiber Has Health Benefits"
Eating at least three servings of whole grains every day could lower your risk of death, according to new research in the American Heart Association's journal Circulation. Although dietary guidelines around the world have included whole grains as an essential component of healthy eating patterns, people aren't eating enough, according to the analysis. In the United States average consumption remains below one serving a day, despite the long-time recommendation of three servings a day. In the first meta-analysis review of studies reporting associations between whole grain consumption and death, researchers noted that for about every serving (16 grams) of whole grains there was a: 7 percent decreased risk in total deaths; 9 percent decline in cardiovascular disease-related deaths; and 5 percent decline in cancer-related deaths. The more whole grains consumed, the lower the death rate. According to researchers, when three servings (48 grams) were consumed daily the rates declined: 20 percent for total deaths; 25 percent for cardiovascular deaths; and 14 percent for cancer-related deaths. 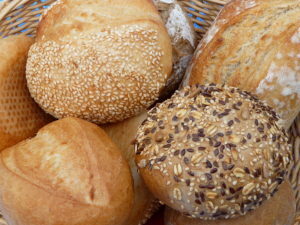 "Previous studies have suggested an association with consumption of whole grains and reduced risk of developing a multitude of chronic diseases that are among the top causes of deaths, although data linking whole grain intake and mortality were less consistent," said Qi Sun, M.D., Sc.D., senior author of the study and assistant professor at the Harvard T.H. Chan School of Public Health in Boston, Massachusetts. "These findings lend further support to the U.S. government's current Dietary Guidelines for Americans, which suggest higher consumption of whole grains to facilitate disease prevention." This analysis included 12 studies published through February 2016 and unpublished results from the National Health and Nutrition Examination Survey (NHANES) III, conducted from 1988 to 1994, and NHANES 1999-2004. Of the reviewed studies, 10 were conducted in U.S. populations, three in Scandinavian countries and one in the United Kingdom. The combined studies involved 786,076 men and women with 97,867 total deaths, 23,597 deaths from cardiovascular disease, and 37,492 deaths from cancer.